Hellomouse is a premium WordPress theme designed for creative professionals. It allows you to display your works and projects in a simple yet beautiful manner. Home: This will serve as your homepage. Assign to it the Homepage Template from the Page attributes panel. Publish the page and set it as your static Front Page as described below. Projects Listing: This page will list all your projects. Apply to it the Projects Listing template to it and publish the page. Blog: This will be your posts page. Just create and publish it. Contact: (optional) Here you can place the contact form that you will create using the Contact Form 7 plugin. Apply the Contact Page template and publish it. 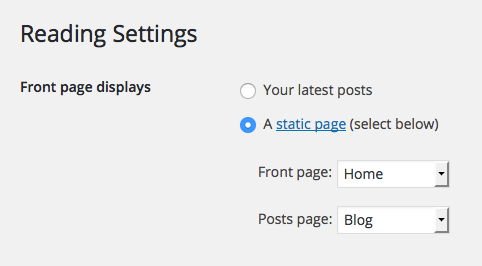 To add new posts to your blog, go to Posts > add new, title your post and enter the content in the editor. 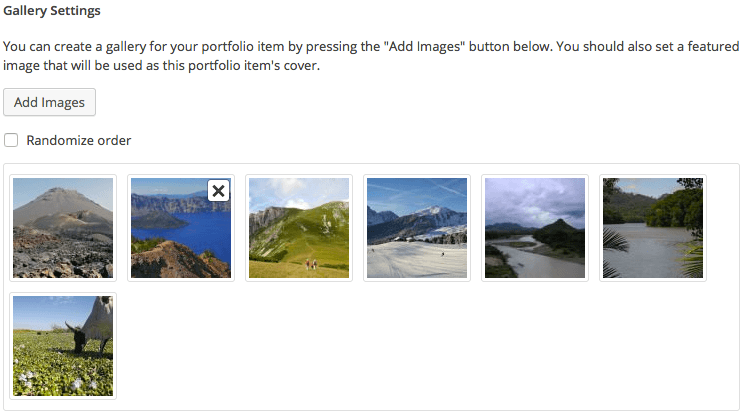 Upload a featured image by clicking Set featured image on the Featured Image panel, add a category and/or tag to the post from the respective panels and publish the post by clicking Publish. TIP: the “more” tag is functional in posts, which means that you can directly control which part of the post will appear on the blog listing page. If, for example, on a video post format you want to display just the embedded video and no text, you can add a ‘more’ tag between the video embed URL and your text content. 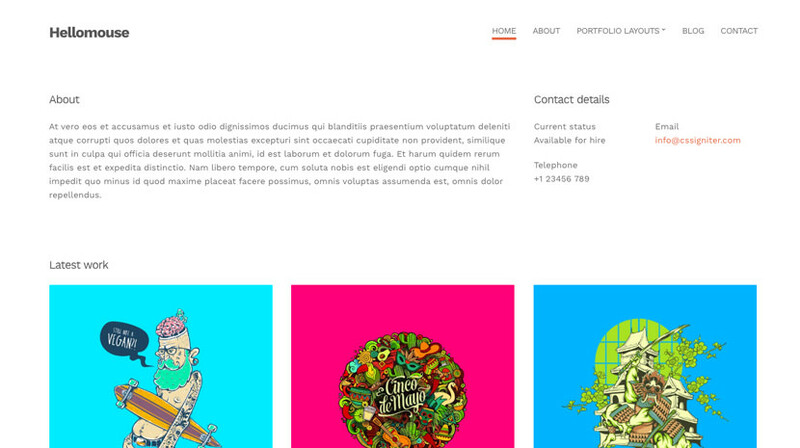 To add a new portfolio item go to Projects > Add New. 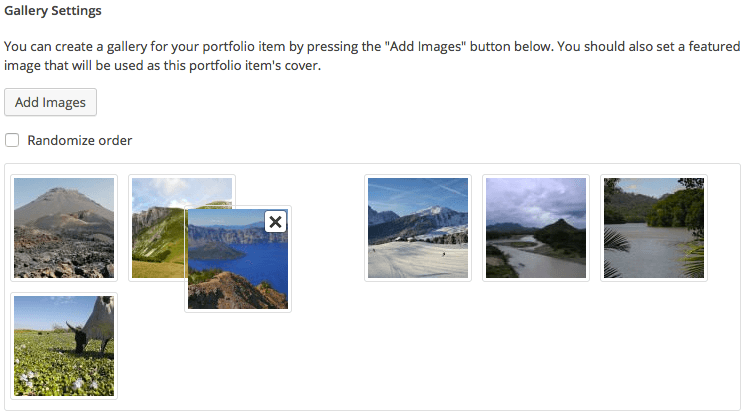 Set a featured image from the panel on the right, fill in the text you have for the portfolio item and move to the Project Options panel below. Here you can add project Information or Images. Each tab contains instructions available for a quick reference. Follow them and easily set up your projects. TIP: You can toggle the appearance of related project items under Appearance > Customize > Project Options. Now that your content is in place, you will need a menu. Go to Appearance > Menus, check the pages you want on your menu and add them. Give your menu a name and save it. Finally you will need to set your menu as Main menu. This can be done by checking the Main menu box in the Menu Settings just below your menu items in Menu Structure. Alternatively, go to the Manage Locations tab and select the menu you just created. TIP: Αny changes you make in the tabs below will be previewed live on the website that appears in right side of the screen. However to save these changes you need to click the Save & Publish button on the top of the bar. If you have made a change but see the button grayed out move the cursor outside the input box to the next input box. Then the button should be clickable again. In this tab you can modify the website’s title, tagline, logo and website icon. From here you can modify the excerpt size and select the pagination layout. Here you will find multiple options regarding the theme’s typography. You can change heading, body text and widget title sizes. You can also toggle the capitalization of various elements. Do you want to have your own unique color scheme? Through this tab, you can modify the colors of many content elements. Click the Select Color button and either use a hex color value in the box or use the palette provided to select a color. 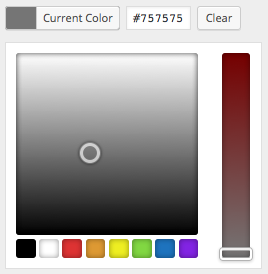 Through this tab you can modify the colors of your sidebar elements, in order to complete your custom color scheme. Here you can fill in the URLs to multiple social network profiles supported by the theme. These will appear on the header and footer automatically. You can also display them in the post/page sidebar by adding the Theme – Social Icons widget in the blog or page sidebar. From here you can shape multiple aspects of the single post like the appearance of categories, tags, date, comments etc. This tab allows you to adjust the appearance of related projects and modify your project layout in project category listings. Through this tab you can add widgets to the theme’s sidebars. The theme features eight sidebars that are extensively shown in the next section of the documentation. If you don’t want to have your latest posts on the front page and prefer to display static content using a normal page or want to use the looks template as your front page, you can do so from here. Set the desired page as your static front page and save. In this tab you can find the Custom CSS panel. You can use it to insert styles for elements not covered by the rest of the tabs. Also you can place your Google analytics tracking ID here. Blog: Used to display widgets in your Blog page and all your Posts. Pages: Displayed in all static Pages. Contact: Displayed in your contact page (i.e. a page that has the “Contact Page” template set). Homepage Left: First column of widgets on the Homepage. This widget area appears on your Homepage templates. Homepage Right: Second column of widgets on the Homepage. This widget area appears on your Homepage templates. Homepage Full Width: Full width area of widgets on the Homepage. This widget area appears on your Homepage templates. Footer #1: First column of the footer widgets. Footer #2: Second column of the footer widgets. On the Gallery Information panel click the Add Images button. 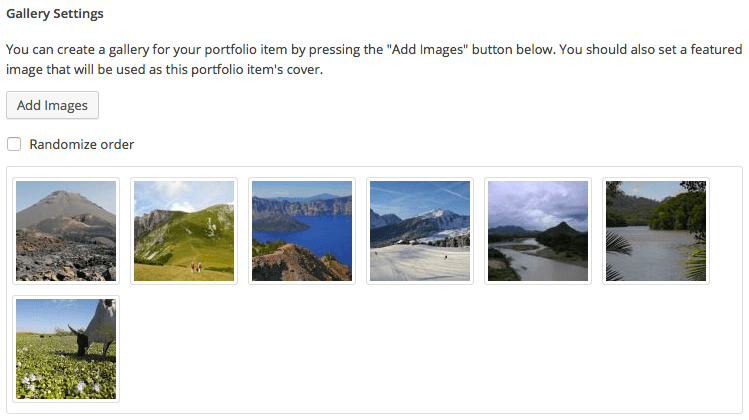 To upload your images, drag & drop them in the Edit Gallery window that will pop-up. Select Add to Gallery in order to select already uploaded images. Once you are done, click the Update Gallery button on the lower right side. 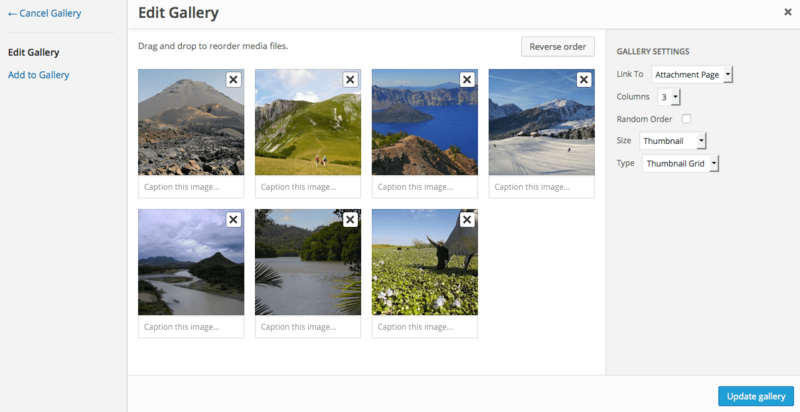 By checking the Randomize order box your gallery images will appear in a random order that will change on every page refresh. When you are done, publish the gallery item. CSSIgniter Shortcodes: You can use this custom made shortcode plugin to help you create a variety of layouts and elements on your website. Contact Form 7: Use this plugin to create a contact form, then copy the shortcode it generates and paste it in a page which will serve as your contact page.